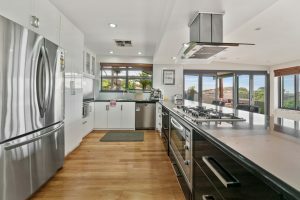 Located in one of Bunbury most prestigious streets, with a fantastic outlook from the hills to the East, City to the North and Ocean to the West, you will find yourself catching your breath as you walk through this beautifully presented home. 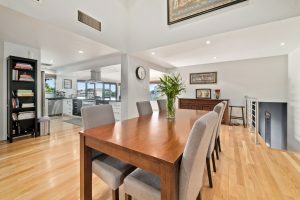 Soaring high ceilings and solid timber flooring greet you as you enter the home to the lounge are then leading you through to the gourmet kitchen with granite benchtops and stainless steel appliances. You have multiple living and entertaining options both inside and out, with dining, dedicated theatre room, extensive patio area with views to the ocean. 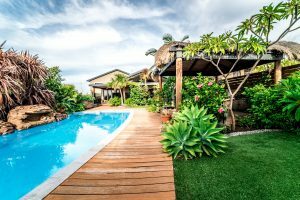 The Balinese Resort style pool with decking and Bale will make it hard to want to leave the house, exceptionally low maintenance and easy living is what this home is all about. The home has 4 double bedrooms with robes and the Master has a private balcony and ensuite, plus a separate study/office. Storage is covered with a solid brick workshop with excellent access along the northern side of the home. Fully air conditioned and so many more features, this is simply a chance to buy a superb home in a fantastic location that should not be missed. 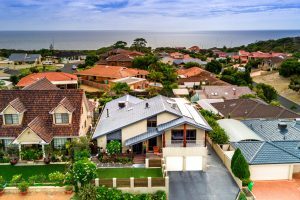 To arrange a personal inspection, contact Jason Gard as the Exclusive Agent today on 0418 390 560.